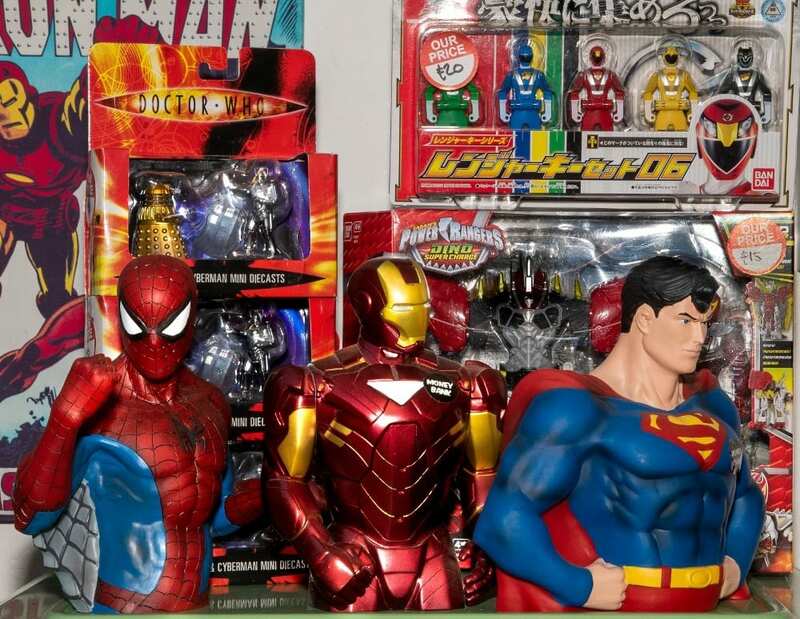 If you’re bored with High Street shopping Ann Evans tells us about a great little shop packed with great collector’s items. 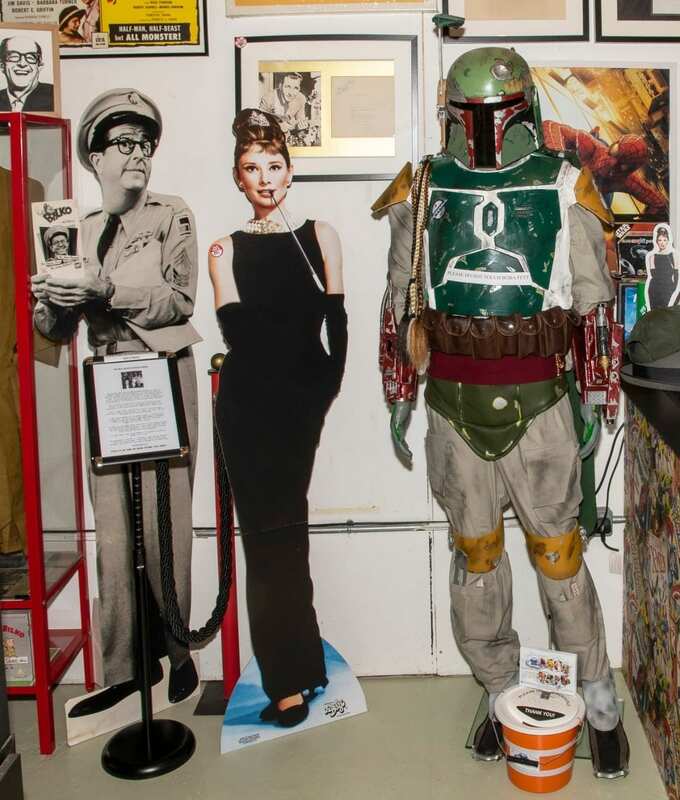 If you’re shopping for something unique, then Steve Everett’s Sgt Bilko Vintage Emporium in Coventry is the perfect place to find something different. It’s a collector’s paradise coupled with the only Phil Silvers museum in the world – endorsed by the Phil Silvers family. So, a shopping experience with benefits! 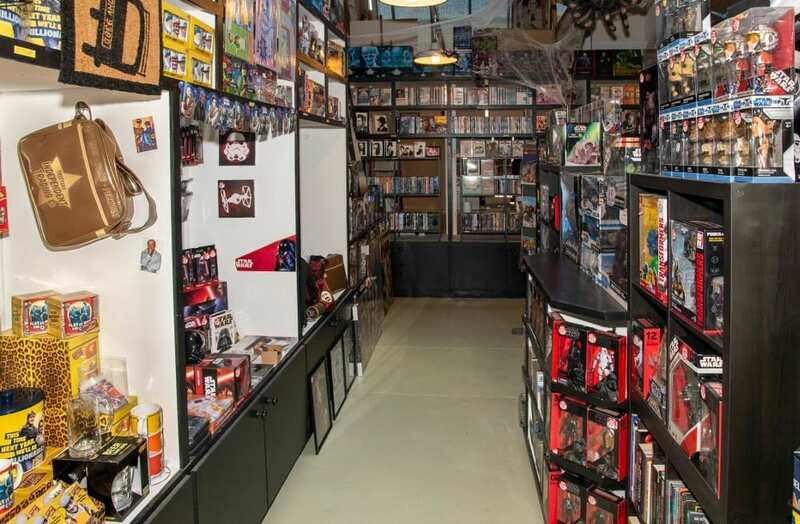 While the Phil Silvers’ Archival Museum is dedicated to this actor and all-round entertainer (see last Monday’s article), the Vintage Emporium has a wealth of gifts and collector’s items for anyone interested in TV, film and comics and entertainment. The location is also unique. Situated in Fargo Village, a complex of independent shops, studios and handicraft workshops, with a central indoor precinct where there’s regular markets and craft fairs. The buildings at Fargo village tend to be wooden, or ‘crates’, and the atmosphere is not unlike a Wild West town back in the day. But here there are artisans of chocolate and sweets, a micro-brewery, cake makers, a Big Comfy Bookshop, and all kinds of fascinating places to shop and discover. There are places to eat and drink, you can sit outside or inside and simply enjoy the peaceful and relaxing atmosphere. But back to Sgt Bilko’s Vintage Emporium. Steve Everett began his shop in 2015 in one of the crates at this newly formed site that had been specially created for entrepreneurs to start up small businesses. In September of that same year, with European funding Steve was able to move into a larger unit where he and business partner Mick Clews also set up The Phil Silvers Archival Museum. That has gone from strength to strength, with the full support of Phil Silvers’ family. “Phil Silvers loved England and the English, he was very much an Anglophile,” added Steve, who keeps in touch with Phil’s daughters, who have all donated personal items belonging to their father to the museum. 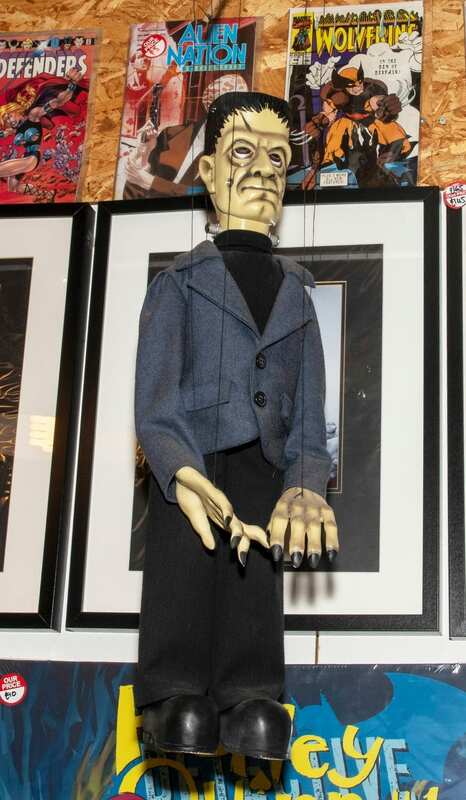 Where else could you find a Frankenstein marionette? 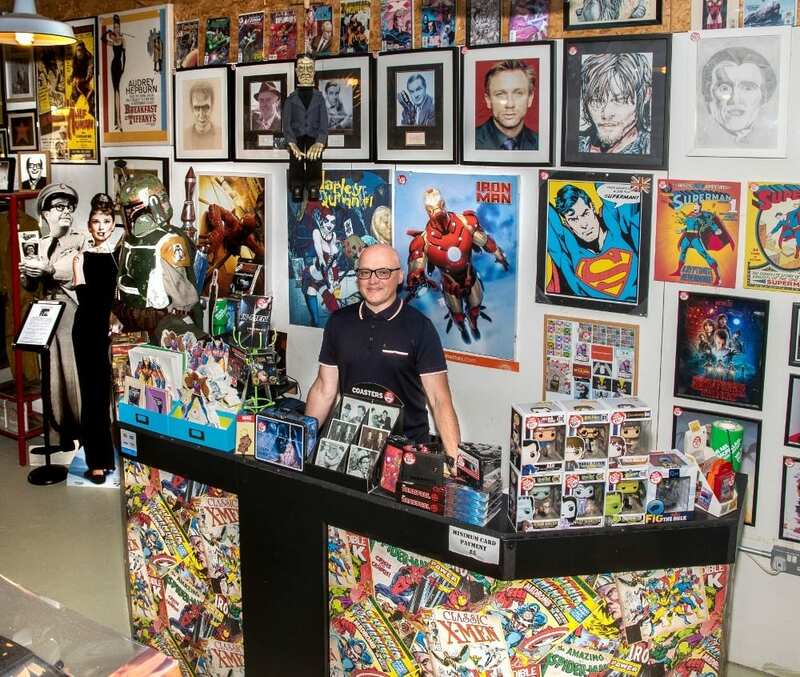 Being an avid collector of film and TV memorabilia, books, comics, posters etc for more than 35 years, Steve stocks his shop with the fantastic and the unusual – a real treasure trove whether you’re into the Hammer House of Horrors, Batman, Superman, The Avengers or Top Cat, there will be something for you. 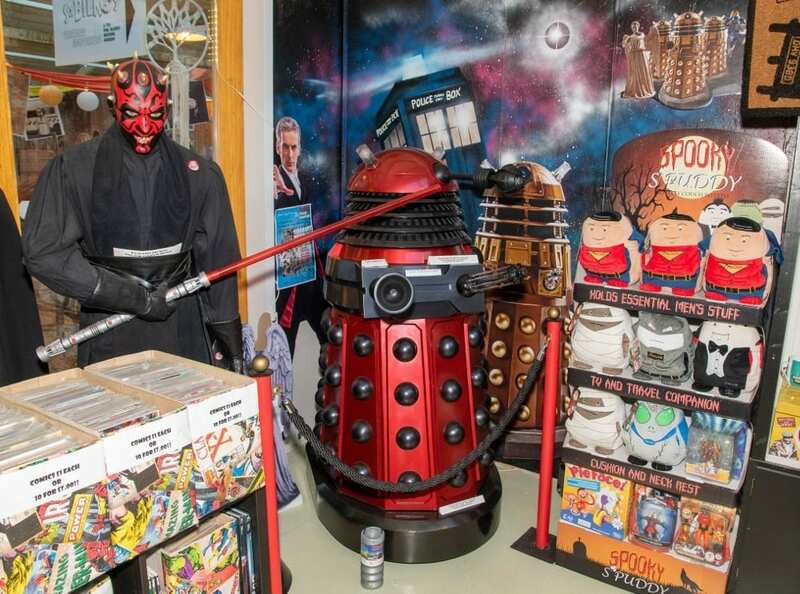 So, next time you’re in Coventry, seek out Fargo Village and enjoy a most unique shopping experience. « Mercedes’ Marvellous Mondays… Fort fun… or not?